"This tart tastes like yogurt!" Excited over a tart recipe? You might ask... Are you crazy? I must admit that I'm little "crazy" with all my baking habits... At first glance, I thought that this tart recipe seems unique. Most baked fruit tart recipes that I came across use mainly eggs and cream for their fillings but this one seems atypical using buttermilk as its "custard" filling. Why buttermilk? You might ask... It has a lower fat content and a nice tangy taste but how buttermilk works in this recipe? I can clearly see the answer now. In this recipe, buttermilk gives the tart a nice tangy taste with light and yet creamy custard-y texture. Ultimately, it feels like eating a creamy berry yogurt with a tart base. Berry yogurt on tart base? Then, can I serve yogurt on tart base? Will that be the same? You might ask and I like to ask myself these question too. I wonder if serving fresh yogurt on tart base can make shortcrust pastry go soggy but clearly this recipe has not. 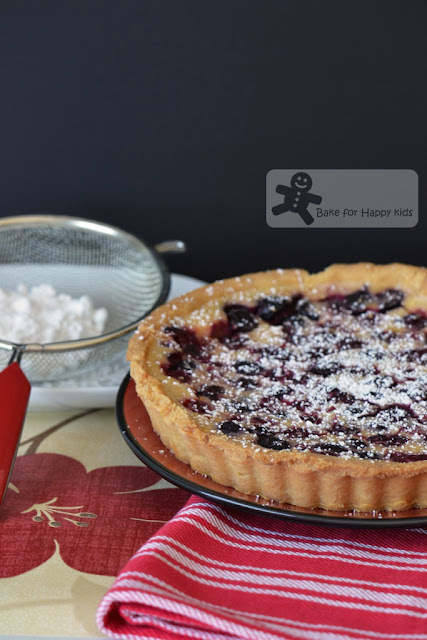 The sweetness, taste and texture of this tart is in great balance and wouldn't suggest any further modification in its sugar content and other ingredients if you are going to use this recipe. 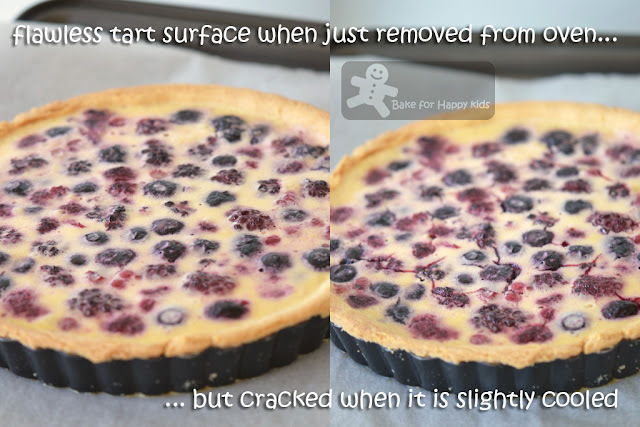 The tart with slightly cracked surface looks exactly like the tart featured in the Coles magazine! Very delicious with its buttery tart base! Combine flour, sugar, salt and butter in a food processor and pulse just until it resembles coarse crumbs (I did this by hand). Add egg yolk and water (I didn't add any water), and pulse again until a ball starts to form (I did this by hand). Transfer the dough to a work surface and form the dough into a flat disc. Wrap pastry in plastic wrap and refrigerate for at least 1 hr and up to 1 day. Unwrap pastry and roll out on a lightly floured surface, rotating it and dusting the surface with flour to prevent the pastry from sticking, until it is 2-3mm thick. Brush away excess flour. Place the rolling pin on the edge of the pastry farthest away from you, and gently and loosely roll the pastry around the pin toward you, until half of it is on the pin. Lift the pin over the edge of a 25cm greased loose-based tart pan. Unroll the pastry over the pan, draping and centering it over the pan. Lightly press the pastry into the pan, patching any cracks. Trim the edges a little, allowing a small overhang (2-3cm). Cover and refrigerate for 30 mins. Meanwhile preheat the oven to 175°C or 155°C fan forced. Place tart pan on a baking tray. 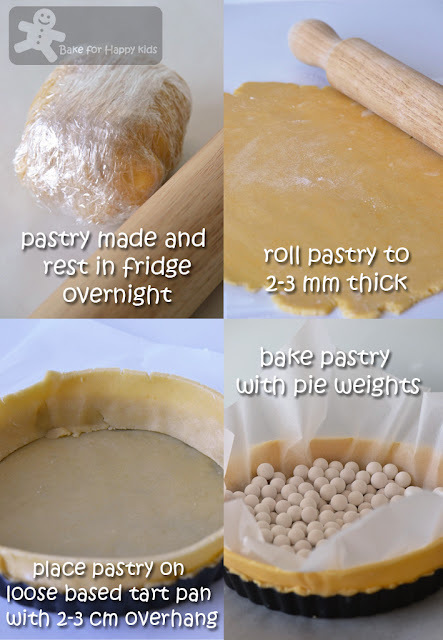 Lay a sheet of baking paper over the pastry and cover the paper with pie weights or rice. Bake pastry for 25 mins, or until set around the edges. Remove baking paper and weights. 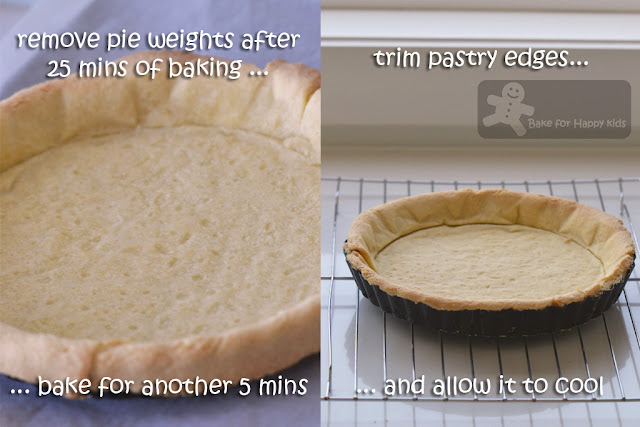 Continue baking pastry for 5 mins, or until golden brown around the edge. Gently trim pastry edge to meet the sides of the pan. Transfer the pan to a rack and cool completely. 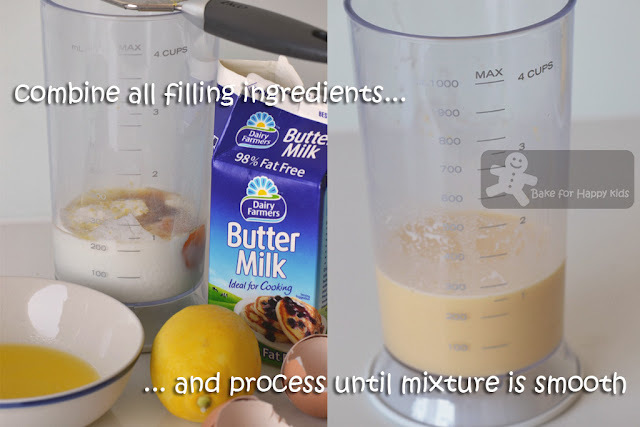 To make the buttermilk filling: Combine buttermilk, sugar, melted butter, egg yolks, flour, lemon zest, lemon juice, vanilla and salt in a food processor. Pulse until the mixture is very smooth. Arrange the berries over the cooled pastry. Pour the filling over the berries and give the pan a gentle jiggle to make sure the berries are coated. Bake for 30 mins, or until the filling is just set in the centre. Cool completely. Sift the icing sugar over the top. Cut into wedges and serve. Note: Using 2/3 of the recipe and a 19cm loose based tart pan, I have baked my tart pastry at 155°C fan forced for 25 mins with baking weights and an extra 5 mins without baking weights. Then, the tart filling was baked at 155°C fan forced for 30 mins. Yeah! I remember Mich bakes these before too! So cute! Buttermilk tart looks delicious Zoe. This looks delicious with all the fruits. I can imagine how creamy and tangy the buttermilk custard is. This pie looks really really good! gonna try it for sure! Sounds good and interesting with the buttermilk, I think I would love the buttery crust. This really looks delicious. I like the first picture. Bookmarked! I could use a big stack of these every morning! YUM! 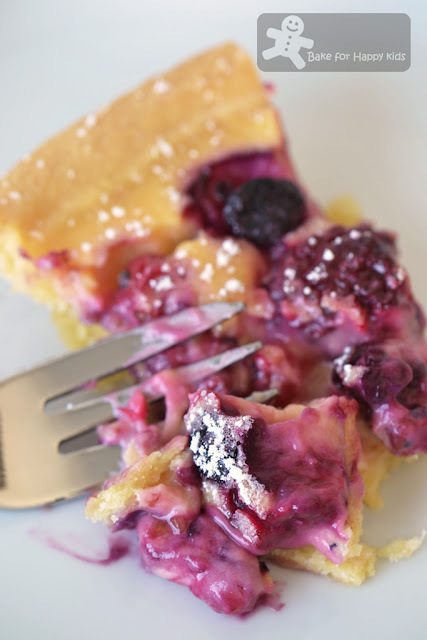 All the berries in the tart looks like little gems in a pool..so lovely!! I bet it taste fabulous!! Your tart turned out very lovely! Berries and lemon are such a delicious combo. Beautiful Tart Zoe!!!! Looks so creamy and delicious! Wow, this pie looks amazing Zoe! Great job on the crust, it looks beautiful! I like the sound of the buttermilk custard, it sounds like it would be creamy with a nice tang :) Love the berries in the filling too, sounds delicious! Zoe I love this look dellicious I love berries!! Ciao carissima amica..grazie per il bellissimo commento. E' un piacere passare sul tuo blog e questa crostata che ci hai mostrato è bellissima, con la frutta è davvero il massimo. La frolla l'hai resa friabile e il ripieno cremoso, tanto da farmi venire l'acquilino in bocca. Un abbraccio stretto e buone vacanze. p.s bellissime le foto e la presentazione. Wow, these sure look good! Am just itching to bake! wink! LOL!! I was surprised to see the berries since I know that it's winter where you are right now. Then I read the whole frozen thing. A ha! 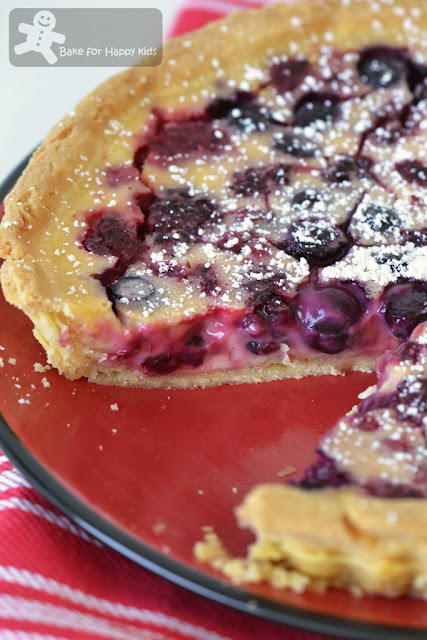 Well, this tart looks delicious! Maybe I'll try making it with the berries that are in season over here. 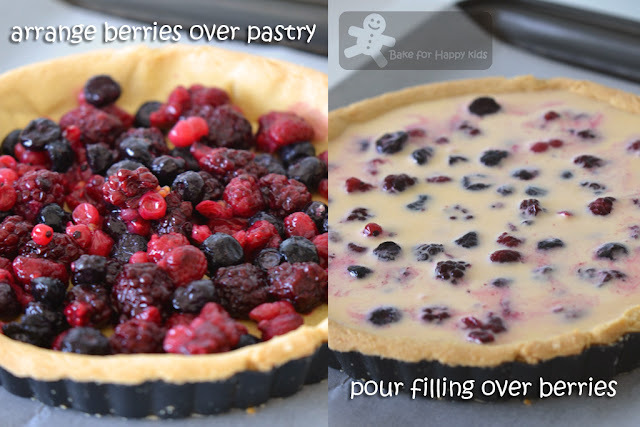 Zoe, your buttermilk tart with the berries filling looks absolutely divine; so perfect with the mixture of the delicious berries, and the creamy yummy filling. Love the photos, as well! lemon yogurt is so refreshing that I would imagine this must taste divine. It's such a lovely tart, Zoe. You sure are entitled to be happy about what you have created. it looks simply delicious! YUmm, THats one delicious looking tart. Can I use any kind of fruit or just berries? They make the pie looked so attractive! I have been thinking of making a pie for times but still lack of mood. Ooh, wow. I love tarts a lot. And with all those fresh berries? This must taste fantastic! the last pic really looks tempting..yogurt-y and lots of berries too! I love to be with this journey of Zoe. I came across this blog and your presentation is quite different. You bothered to put more pictures in it. I love it! I am more on visuals so I appreciated the effort to have the photo gallery depicting the steps of baking this buttermilk tart with lemon and berries. You also put the recipe and methods. It is so nice of you to do this for your friends in this blog. Thanks!